Just below Mirrored Society, our neighbors Bunny Gunner Gallery has re-opened its doors to what used to be Pigale's Optical. 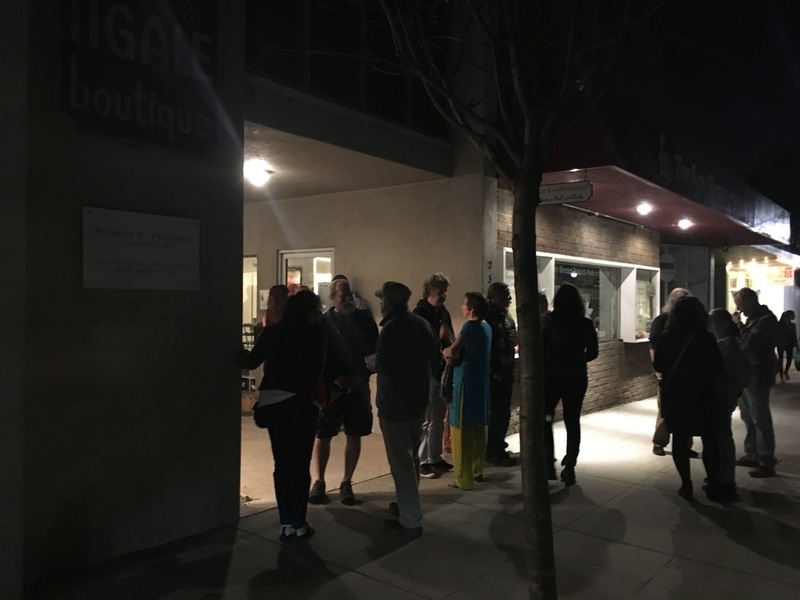 Their new gallery is located just 2 doors down from their former, cozy space located on Bonita Ave. in Claremont. 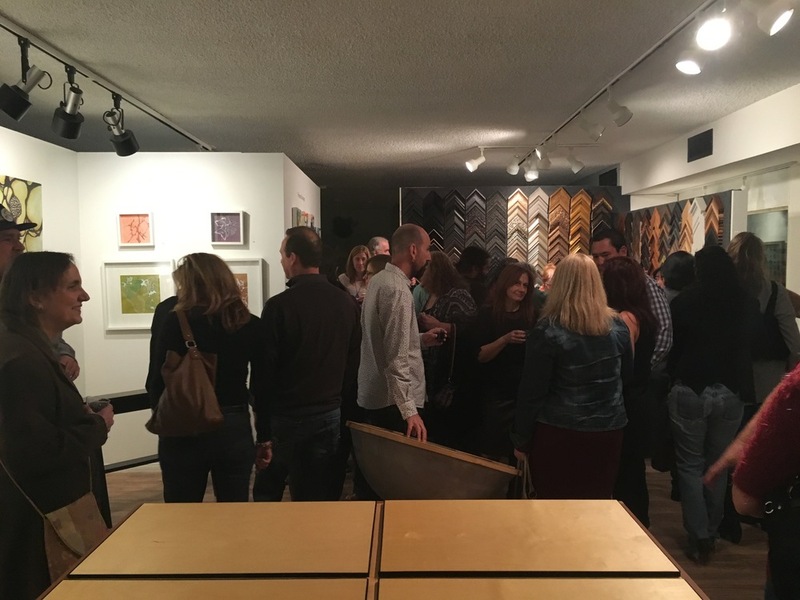 Owners Juan and Susie Thorpe worked day and night to present a new and ever more spacious gallery and frame shop. 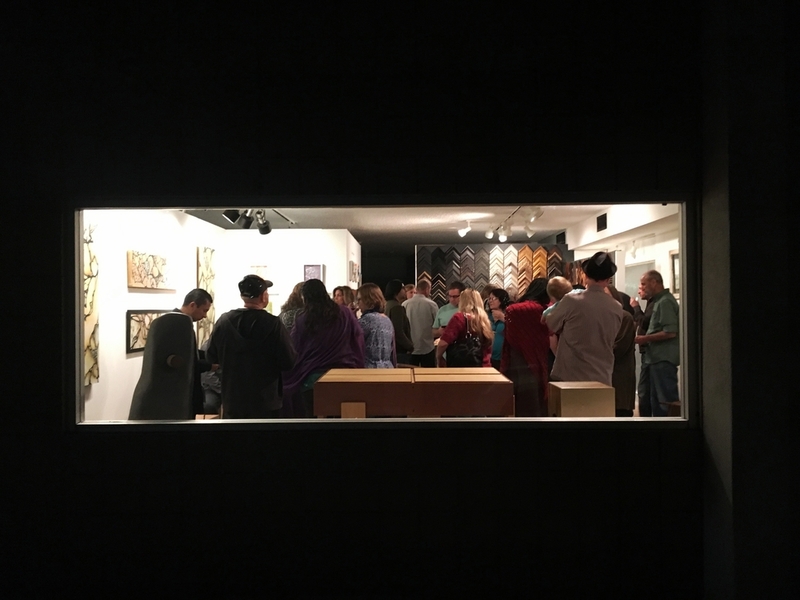 Selected works by artists Marcella Swett and Florencia Decurgez graced the freshly painted gallery walls, while the crowd could be seen from the rectangled window that faces Bonita Ave. Included in the exhibition were artists Larry White, Kirk Delman, MIke Kotzen, and Ralph Tecotzky.